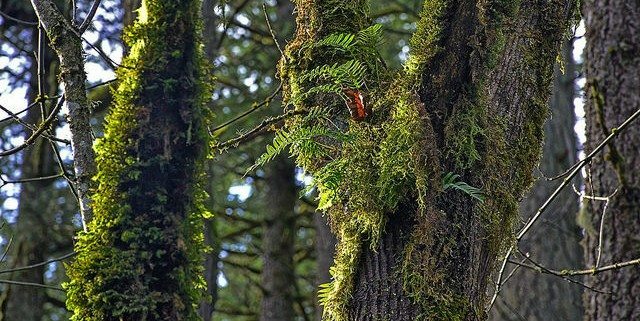 If you’ve ever visited a temperate rainforest in B.C.—on the coast or in the interior—you may have marveled at all of the ferns. You might be surprised to learn that, in terms of biodiversity, B.C. is relatively lacking in ferns compared to most tropical forests. Still, the biomass of ferns continues to amaze me. It prompted me to ask, just what are they doing? 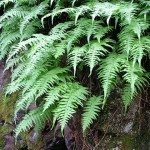 What role do ferns play? It turns out that this is a trickier question to answer than I thought. 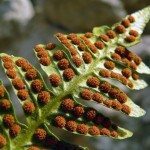 In most published or publicly available documents on ferns, the focus is most often on fern identification, human interactions and uses, and on fern biology (evolution, life cycle and reproduction [see Crazy Facts: Does a Fern have a heart?) and biogeography (where ferns live). There is a more sporadic and piecemeal body of knowledge on the roles that ferns play in ecosystems. After learning a bit about ferns—like the fact that, in almost every genus the number of species decreases from the tropics to temperate regions—I can more easily understand why existing research focuses largely on tropical ferns (there are way more of them) and why it seems so piecemeal (different genera of ferns can be very different in their form and niche). The ecological role that ferns play is difficult to pin down. It’s sufficient to say that the 12,000-plus species of ferns in the world likely play many, many different roles. NB: not all ferns do all of these things – these are just some of the ecological roles that have been observed or investigated (Ranker and Haufler, 2008). 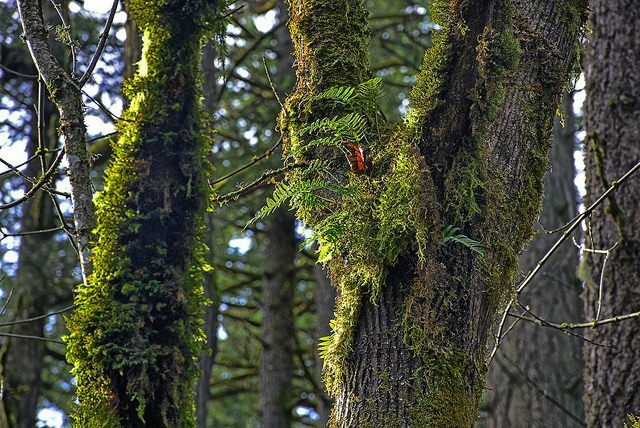 Species Story: Licorice Fern CRAZY FACTS: Does a fern have a heart?